We are always interested in adding talented professionals to our team. 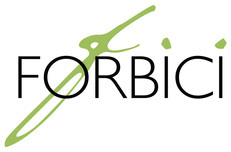 The mission of Forbici Salon is to exceed the expectations of our guests and employees by providing the highest quality products and services. KINDNESS: We believe that you should treat each other the way we would like to be treated. TEAM SUPPORT: We share our knowledge and are there for each other in any situation. GUEST SATISFACTION: It is our goal to exceed our guests expectations. Our guest recognizes us for our efforts in our ability to be friendly, professional and artistic. The team at Forbici Salon is a group of individuals that came together to reach a common goal...to work together in an environment that allows us to grow as individuals and as a team. We strive to look within ourselves for our strengths and weaknesses so that we can continually improve and become stronger as a team.